The immigrant population in Denmark contributes to the nine percent of the Denmark population. The skilled migration to the Denmark is growing annually; the economy of the Denmark has also faced tough times and introduced a unique Green Card initiative to attract the highly skilled professionals. Denmark opted out from the Blue Card initiative; it has its own highly Green Card Scheme that allows the experienced professionals to work in Denmark and bring their families to the Denmark. The spouse of the permanent resident is also allowed to work in Denmark. Immigration in Denmark is streamlined and skilled professionals can easily qualify for the point-based visa program. The Denmark Green Card is to allow the highly qualified professionals to work and live in the Denmark. The age, work experience, education and language skills significant role in the application process of the Denmark Green Card. If the candidate secures 100 points in the point-based test, he will be granted 18-month residence permit. 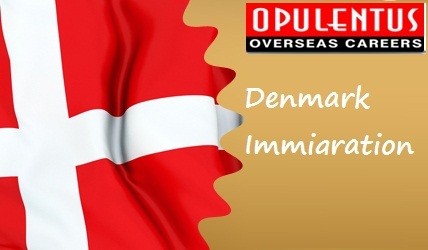 Apart from obtaining the valid score, Denmark immigration looks for the applicant’s financial status. Applicant must hold enough funds to support his family in Denmark. Denmark Immigration gives additional points to the skilled professionals who studied in the world’s top class universities. Much emphasis is laid on the adaptability factors, as people can easily settle in the Denmark if they have adapted to different working conditions. Candidates applying for the Denmark immigration must go through the point based system. Job offer is not mandatory to Apply for the Denmark Green Card Scheme.